fresh soup at no cost. pricey glop packaged as soup! Some of you will know that my attempt to make gooseberry jam a few weeks ago ended in disaster. I burned the sugar and ended up with dark-brown jam that smelled like a bonfire. Mister Potter was not pleased, as he’d picked the fruit and had numerous arguments with thorns in the process. 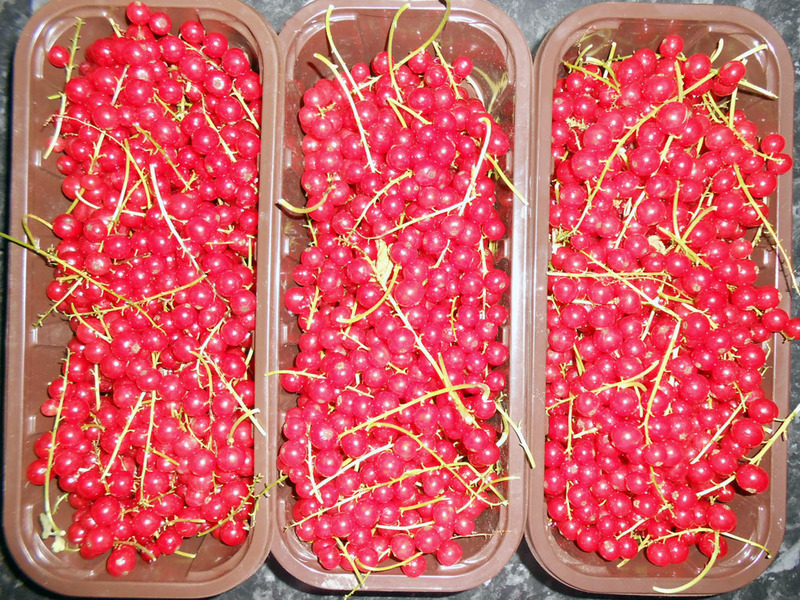 It was my job to pick the first batch of redcurrants. 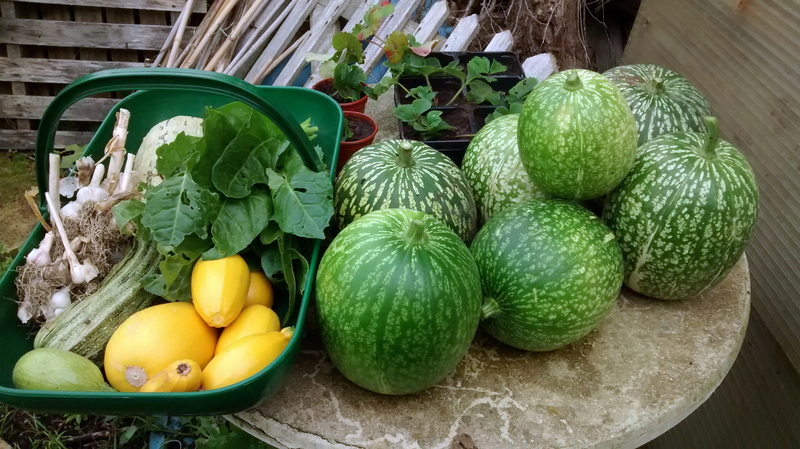 This involved doing battle with bindweed-imprisoned nets for two hours; no blood drawn and 2 lbs of fruit yielded. 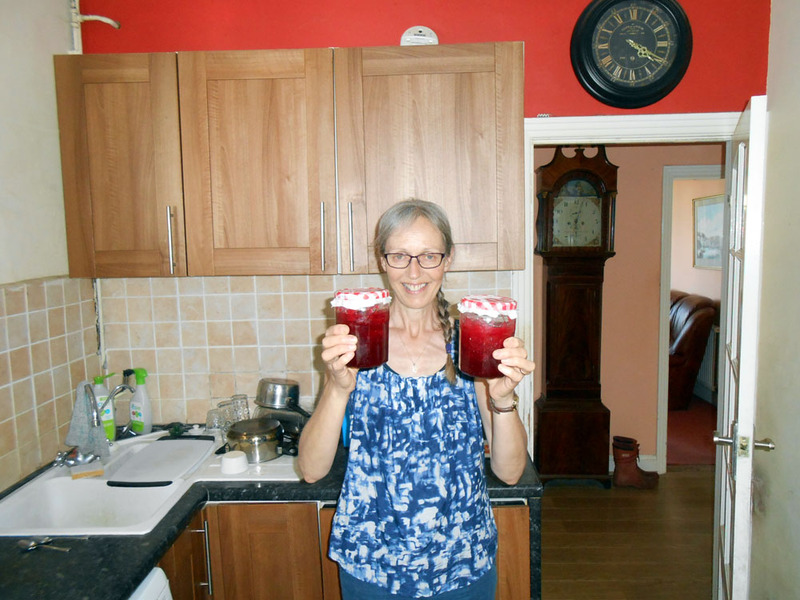 Since then, Mister has picked another batch, which I’ve put in the freezer to make some jelly for Christmas. Match the weight of sugar to the weight of redcurrants — 2lb (900g) of each is a manageable quantity. Unrefined golden caster sugar or soft brown sugar are best. Wash the fruit in a colander and leave the stalks on (my son will kill me if he reads this, as he spent an hour removing the stalks, only for me to discover afterwards that this wasn’t necessary). Put the sugar in a warm place. Slowly bring the fruit to the boil in the pan, continuously pressing down the fruit with a spoon to squeeze out the juice. I use a wooden spoon. This takes about 10 minutes. If you get bored, read a book while stirring but don’t set fire to the pages. Take pan off the stove temporarily and add warmed sugar, stirring until totally absorbed. Turn on the oven (Gas Mark 3/Electric 170 C) ready for heating jars. Boil the tops of the jars in a saucepan of water for 10 minutes. Bring mixture up to rapid boil. Boil for 8 minutes (no need to keep it at maximum heat — just bubbling nicely, like a witch’s cauldron). Important to keep stirring throughout. Read some more of your book! Tip the mixture into a large nylon sieve and press the mixture through into a large bowl. If you want a totally clear jelly, you’ll need to line the sieve with a double layer of gauze, so the jelly drips through, but obviously this takes longer. Put your jars into the oven on a tray for 5 minutes. Pour jelly into warmed jars (with them removed from the oven, of course!). Cover jars with waxed discs, or put a piece of baking parchment on top of the jar, screw on the lid, then trim the parchment to look tidy. When the jars have cooled, store them in a cupboard until required. Once you’ve opened a jar, keep it in the fridge. 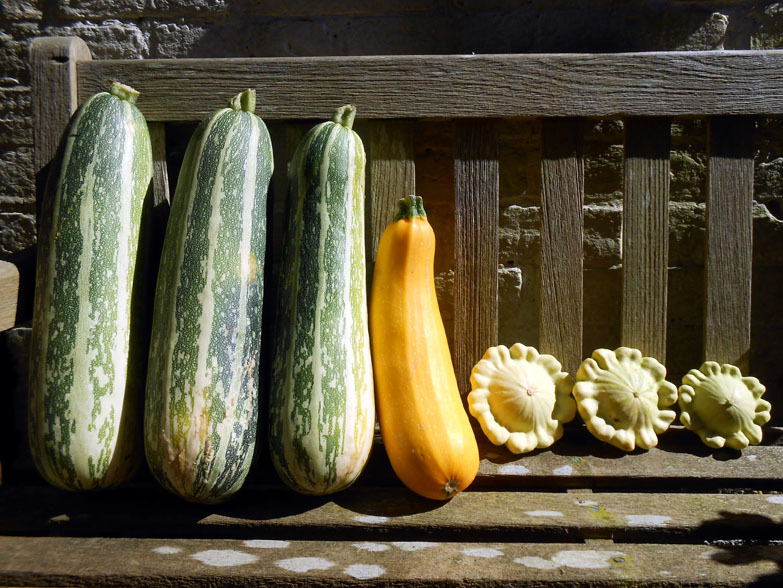 Let the judging begin, from smallest squash to largest marrow! 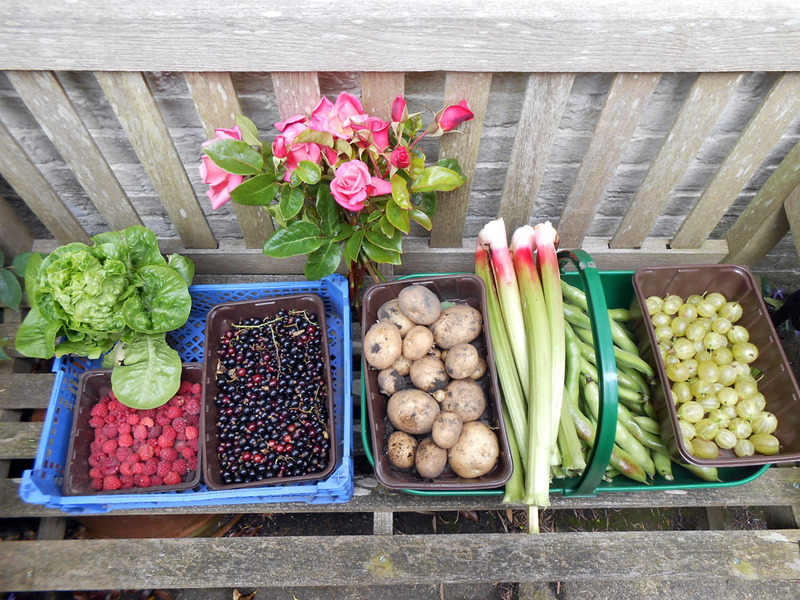 I’m just taking a break from my preparations for tomorrow’s book launch of Noah Padgett and the Dog-People, to reflect upon other ways of being creative: that of growing your own food and using it to create yummy meals. In the case of the beauties in this picture, Mister was responsible for their planting and nurturing, and I’ll be responsible for their cooking. As I’ve mentioned before, I love inventing recipes and hardly ever refer to cookery books, so maybe one day I’ll take a break from writing fiction to produce my own book of tasty and nutritious meals.